Image is of Constance Miles. Constance Miles was a journalist and novelist who kept a diary from 1939 to 1943, and sent the typescript of it to the Imperial War Museum. It was over 400,000 words; the IWM has cut it down, I guess to about a quarter (apparently a lot of the length was extracts from newspaper articles) and published it. Miles’s father was William Robertson Nicoll, a journalist and writer who founded the periodicals British Weekly and The Bookman. 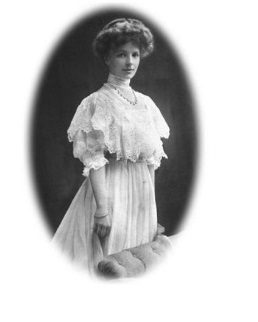 One of her friends was Barbara Euphan Todd, novelist and children’s writer who wrote the Worzel Gummidge books. Miles herself wrote, with her brother Maurice Nicoll, a novel Lord Richard in the Pantry (1911), which became a play and then a film (it’s on the BFI’s list of 75 lost and most wanted films). The book is credited to Martin Lutrell Swayne, Maurice’s pseudonym, in the BL and the Bodleian, so I’m going on the authority of Partington’s introduction in saying that Miles co-wrote it. She is credited alone, however, for what I guess is a sequel, Lady Richard in the larder: an extravaganza (1932), and something called Coffee, Please: the story of a lover’s dream (1933). Furrowed Middlebrow has a post talking about these and also her work as Marjory Royce, which Partington doesn’t mention. There also seem to be some manuscripts of hers in the BL: “Anthology of Letters, taken from printed biography including a few private letters” (1950), “The Springfield Diary between the Wars” (1951) and “Brief Lives. Consisting of pen portraits of people well known to the writer, etc” (1954). I would like to get in there and have a nose, and also to her half-sister and father’s archives at Aberdeen … Most of her books are too expensive but I have ordered Dinah Leaves School (written as Royce) and will endeavour to report back. I do have resolutions / ambitions / plans to update this blog more frequently (and have a pile of books waiting to be “done”) but then I’ve planned that before and then I get under the weather and things go to pot. Anyway – here are some bits from the diary I liked. Rather a focus on cats as you will see. Miles’s own cat was soft grey Muff, who had to subsist on “chicken’s ‘eads fourpence a pound” at times in the war. Interesting to see that the focus on food being thrown away is not new. “Before the war about a million tons of foodstuffs were thrown into dustbins every year, Sir Ronald reminds us [Ronald Storrs in The Second Quarter, an account of the progress of the war]!” (10/08/1940). As a war-time companion Barbara has a small black kitten. It likes cheese straws and cabbages and it spends most of its time purring as mine does. It fitted itself into a blue glass vase the other morning and went whirling round and round. It was in an ecstasy. I should like to meet it even more than Goebbels. (24/01/1940) … I hear that one of the survivors of the torpedoed Transylvania came on shore with a cat in his arms, purring contentedly. Good! (15/08/1940) … Went to call on a Paddington evacuee cat in the village, a sweet whitish kitten. The two dressmakers accompaning it are humbly grateful for their one room, where they can just squeeze in (29/10/1940). Corporal punishment on boys aged under 14 increased in the course of the Second World War. In 1938 and 1939 there were 48 and 58 cases of whippings respectively in England and Wales; this rose to a high of 531 in 1941, gradually dropping to 165 by the end of 1943 before returning to pre-war levels in 1944 when 37 cases were handled in this way. This rise has been attributed to the need to deal with increasing juvenile crime during the war in combination with retired magistrates being reinstated to cope with the dual pressures of an increasing caseload and younger magistrates serving on war duty. Children not only lost their homes, but ruined buildings gave endless opportunities for adventure and play which sometimes became rather wild. Toys, candies and innumerable other things attractive to children were buried under rubble and remained there, sometimes for days, until the area could be cleared. – wartime restlessness, disruption of school life, an increase in young people working and in the amount they earned, and lack of space in approved schools, remand homes and Borstals. One of the solutions proposed is more use of foster care rather than approved schools – experience of evacuation apparently having indicated that this could work. I discover an advertisement in today’s Times about a job I think I am able to fill. If only I could! 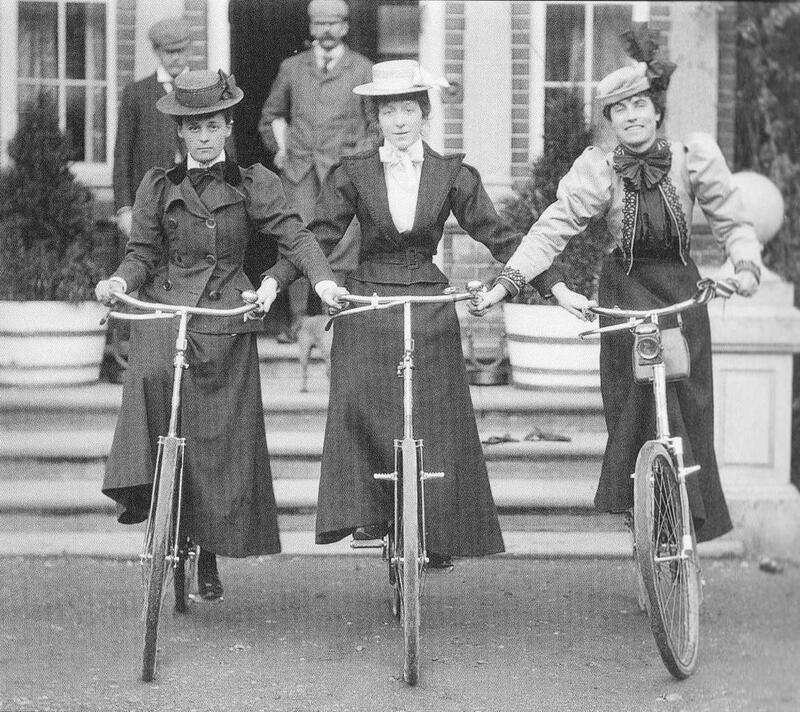 They want gentlewomen for portresses at University College, London; no manual work, but answering enquiries, phones, etc. Miles does mention that she has been asked to be the area Billeting Officer, but it’s not clear if she did take this on. I think probably not, or there would be more about it. In June 1942 she and her half-sister (Mildred Robertson Nicoll – also a writer) went to see the ruins of Paternoster Row near St Paul’s, the printers’ and booksellers’ area, “a pious pilgrimage … [to] where the British Weekly was started”. “The desolation at the back of the great cathedral is truly frightful. Yes, it frightened me, as I stood looking across the great space full of ruins. … What kind and gentle people have been killed, what tidy office arrangements have been blasted, what valuable papers destroyed!” (25/06/1942). In the introduction, Partington quotes Miles saying “I want it to be clear … that I got through the war as I did simply because I had this secret life of reading”. There’s a good review of the diary at I Prefer Reading. Oh, and I must say that the cover picture is annoying. It’s a young woman hanging out washing – too young to be a good representation of Miles, who in any case would be better represented reading or writing. I had not heard of Chase before seeing a mention of In England Now (1937) in Juliet Gardiner’s comprehensive The Thirties: An Intimate History. Despite the slightly different name and date, from the quotations Gardiner gives I think In England Now and This England are the same book, a collection of essays about England by Chase, an American novelist and academic. She became an expert in dyeing bits of wool, working hours to get the exact shade she needed. When her piecebags and closets were exhausted of old material, she bought odds and ends from factories and coloured them to suit herself. The knuckles of her fingers and the palms of her hands grew rough and calloused by hook and burlap, but she had never in her life felt more free. Chase was apparently much influenced by Sarah Orne Jewett, whose The Country of the Pointed Firs I was amazed by when I read it. I have not read it since as I’m not sure how well it would stand up to re-reading. The English weather and its associated travails: “chilblains … demand more resignation and humour than is the capital of most steam-heated Americans. The woollen underwear which one must wear or perish harbours and transmits its manifold vexations … this dismal monotony of discomfort … unspeakable irritation”. No ice: “Ice simply is NOT … the English consider ice an extravagant and unnecessary commodity”. Having said this, there is more positive stuff. She likes the English countryside and she is even almost persuaded at times that there are good things about the weather. She feels that the northern cities with the terrible shops have more life and welcome in them than the sleepy south. She is transported about “the Yorkshire puddings which my housekeeper for two years has constructed for me [and which] rise like the turrets of some castle at sundown, crisp and golden, and with an appeal to the imagination perilously akin to that inspired by cooking across the channel”. But overall she sounds judgmental about people who are just going about their life, with their ugly luggage and hats and their attempts at self-improvement, and annoyingly patronising when she believes she can read people’s feelings (such as the woman on the ‘bus whom she decides is heart-broken about the flowers she is taking to a friend being less sophisticated than those another friend is taking). I would like to know when parish churches stopped tolling for the dead (funeral tolling; death knell, passing bells, the latter apparently technically being hand bells rather than church bells). I know this custom best from The Nine Tailors (1934), where the ex-sexton and current bell-ringer, Hezekiah Lavender (good name), says “We got to ring her for every Christian soul dyin’ in the parish … That’s set down for us”. Chase notes that in the West Country, church “passing bells still toll for the dying and the dead, the initial strokes of one, two or three signifying whether a man, a woman or child has died”. And did they toll for all parish inhabitants or only for church members? What Hezekiah says implies everyone except possibly the odd atheist. Short but nicely written and illustrated book published by English Heritage about schools’ archicture. 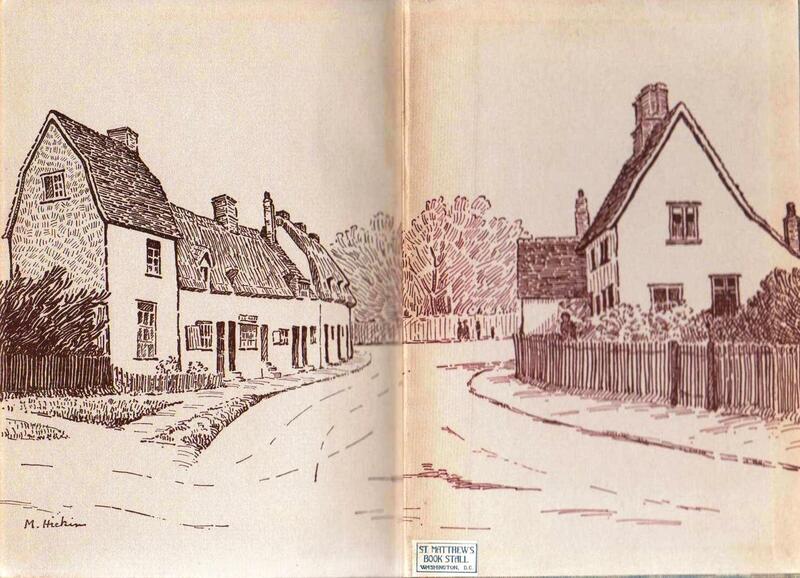 The whole book, with pictures, is now available online as a PDF from English Heritage – worth having a look at if you are interested in social history. This is a good image of Aynhoe School (Northampstonshire) in about 1845. You probably can’t see the detail all that well but I was struck by the number of texts. One knows of course that Christianity would have been a huge part of education but to see so much of the space covered with religious exortations emphasises it. A few I can read: “The Lord you must always obey” on the left under the black and red GIRLS sign; “Remain faithful to The Commandments” in the corresponding place on the right; “FEAR YE GOD” on extreme right; “GOD IS A SHIELD TO US” on blackboard. I particularly like the colourful duffel bags hanging on the cupboard. There is another image of what looks like the same school (other end of the same room?) on Dawn Griffis’s website. Both show the galleried seating clearly. I like the animal pictures below the GIRLS and BOYs sign on that one – elephant to the right, ?lion to the left. 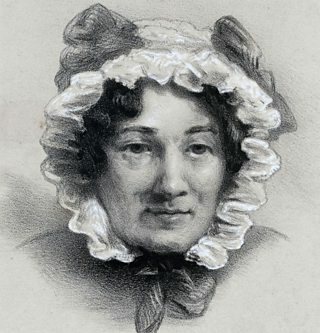 The painter, Maria Elisabeth Augusta Cartwright, née von Sandizell (1805-1902), has had her watercolours of Aynhoe House published, with some extracts from her diaries, which I would be interested to see. (Lili at Aynhoe: Victorian Life in an English Country House). There’s some discussion of it here, though the blogger’s focus is on another family. 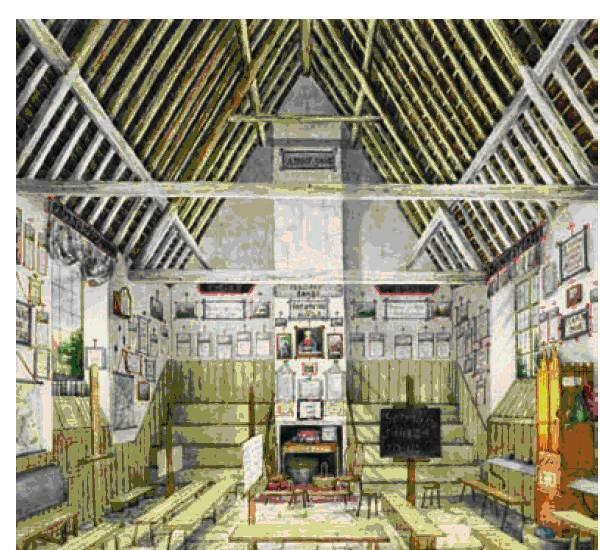 A Google images search will show you some of the watercolours of the interior of the house. There is a portrait of the artist in the NPG, but not online. I had not realised that some London schools had roof-top playgrounds. Makes sense, of course, even though one’s modern health and safety sense tingles. 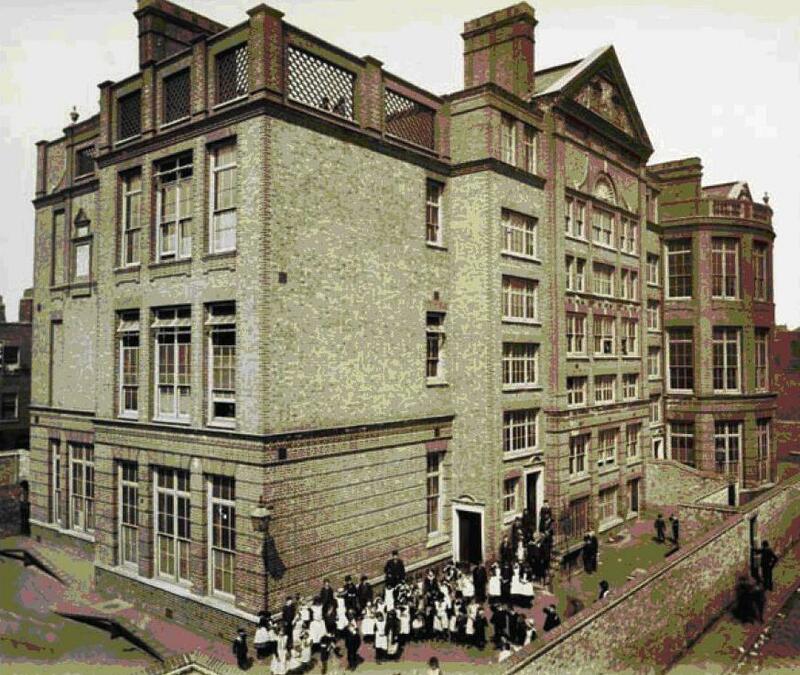 Here is Catherine Street School in Hackney, 1887. 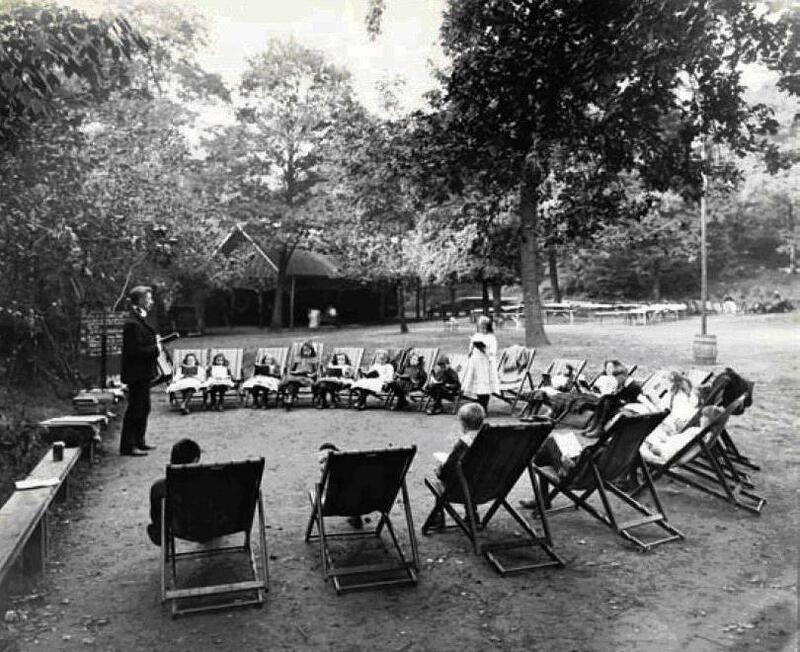 This picture of a reading class at an open-air LCC school in 1907 (at Bostall Wood in Woolwich) is interesting. Several of the children look pretty slumped in their desckchairs. Bostall Wood School was the first open-air school in the UK, and was only open as an experiment for a few months in 1907. It was successful and further permanent schools were opened. This site has more detail, including that many of the children were malnourished when they arrived, and, on average, gained nearly a stone each over the few months the school was operating. This site is good on another open-air school, or series of schools, in Regent’s Park. The clerk, trying to recruit a teacher for it in the 1930s, said “all backward children, throw-outs. No one will touch it”. Not come across throw-outs in this context before – OED has “anything discarded or rejected”. The Muncipal Dreams blog has an interesting post on Aspen House Open-Air School in Lambeth in the 1930s, with pictures of the architecture. There is also a post here about Thackley Open-Air School, also of the 1930s, with good detail about routines, food etc. And finally, a quotation from George Widdows, architect to Derbyshire Education Committee from 1902, who was committed to school buildings that improved the health of both children and teachers: “secondary buildings require just as much revolutionising as elementary. “All one can say is there are not so many children in each class and their clothes do not stink” – an insight into what it might have smelt like in some of these schools. Elain Harwood uses the quote again in a separate article on Widdows – apparently he “collapsed from overwork in 1911, and went on a cruise round the Mediterranean”. He did return to work, however, until his retirement in 1936. Suzanne Fagence Cooper, 2001. SFC is the author of the biography the film Effie Gray is based on. This is a picture book using the collections of the V&A. The Dinner Hour, Eyre Crowe, 1874. There is a good Eyre Crowe site here. 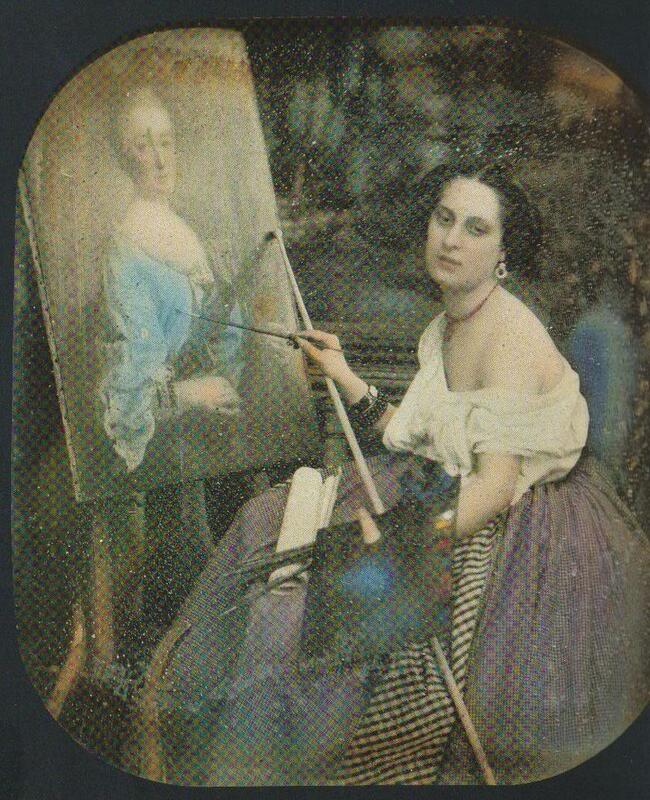 Photograph by Paul Chapuis, Woman painting portrait, c 1860. See this on the V&A site here. 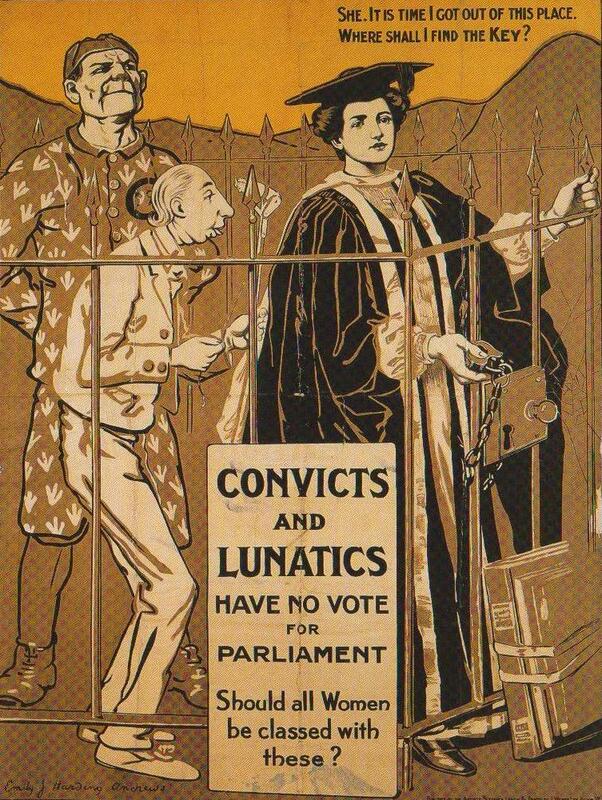 Poster, Convicts and Lunatics … , c 1900, Emily J Harding Andrews. There are some really interesting notes on the artist’s life at Woman and Her Sphere. 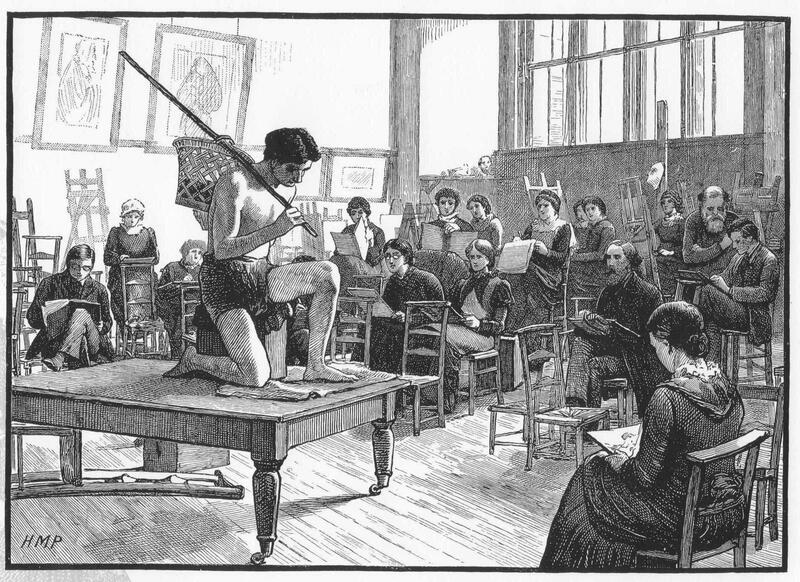 The Slade Life-Class, magazine illustration, 1883. 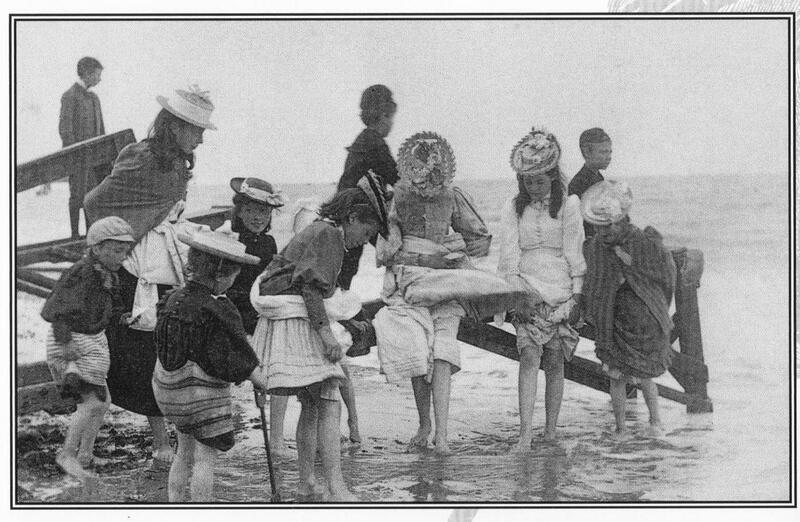 Paul Martin, photograph, Girls Paddling at Cromer, 1892. There is a similar picture here and some other pictures by Paul Martin here. Photograph, 1898, from family album. Wallace was one of the Somerville School of novelists. I can’t find much online about this group (most links are to lists of all novelists from Somerville, not this more specific group) but Shepherd says they comprise Vera Brittain, Muriel Jaeger, Margaret Kennedy, Holtby and Sayers as well as Wallace. They are discussed in Susan J Leonardi’s Dangerous by Degrees: Women at Oxford and the Somerville College Novelists, which I would like to read. Wallace wrote 48 novels, starting with A Little Learning in 1931 and ending with Landscape with Figures in 1976. I came across her through How to Grow Food, 1940, recently republished. 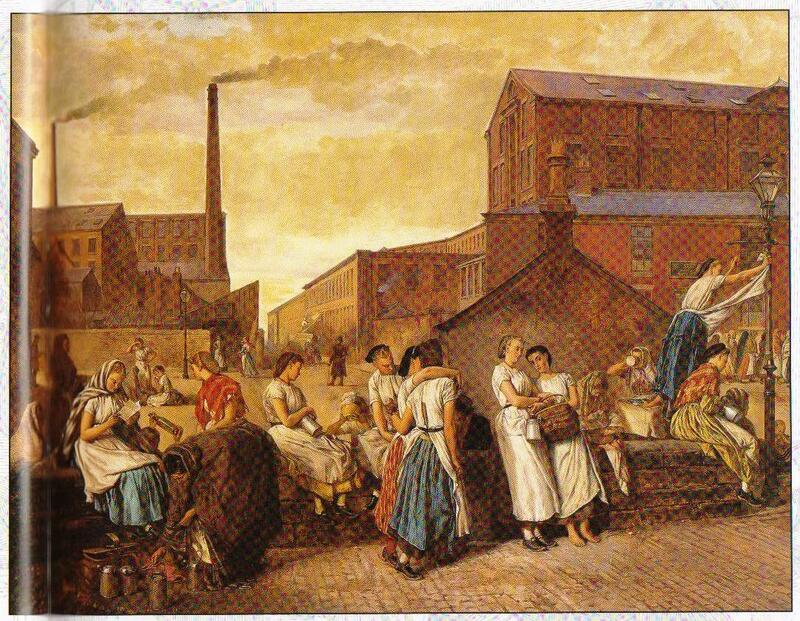 Sayers probably caricatured Wallace in Gaudy Night in the person of an old student, Catherine Freemantle / Bendick, who had been brilliant at university but then married a farmer, had children and sunk into domesticity: “a Derby winner making shift with a coal-cart”. Wallace certainly felt this was a depiction of her and was angry about it. It seems odd though as Wallace was already publishing novels by this time – I guess Sayers must have seen this popular writing as of no account weighed against academia. I like Wallace’s implication that she was “too hefty” to garden so might as well write. Wallace was very involved in the 1930s Tithe Wars – these were protests by landowners in East Anglia and Kent against paying the church tithe. Again, there’s not much online, but see the summary of this paper, The Tithe War in Kent 1925-36: an Example of English Militant Agrarianism and this article about an East Anglian man’s memoirs, North Suffolk man’s autobiography recalls tithe wars and Mosley’s blackshirts. The Tithe Wars lost their importance when the Second World War started, but compulsory tithes were not ended until the 1970s. Wallace said that it was this issue that ended her friendship with Sayers, who as a vicar’s daughter and Christian was on the other side of the argument. Their ribbony pathway to and fro. Before the speed of his industry. Silkily striped like a party-gown. And night’s first veil comes down. That were more and whiter than summer stars? And quietly flowers on the heated air. Its web about the room from chair to chair. And hear the cadence of the feet of Time. As with the mowing one, she’s reaching for deepness in the second stanza, and I don’t think pulls it off. But some of the first verse is more successful, the amazement at the here-and-there-ness of the radio sound. I want to scan in a picture of Wallace in a wonderful 1920s hat, but my printer won’t let me as it’s out of ink (even though I don’t need ink to scan), and as this is an inter-library loan book I’ll probably have to return it before getting more ink. I’ll photocopy the picture and scan it if it comes out at all usable. Arthur Weigall, not dated but the Bodleian catalogue has it as 1927, and the inscription in my copy is also 1927. The book is online. I’d not heard of Weigall before but he seems to have had a fascinating life: worked with Flinders Petrie, was concerned about the export of archaeological items from Egypt, wanted to support Egyptian involvement in archaeology. Is described as having some sort of breakdown and then becoming a set designer and novelist. I would like to read the biography by his grand-daughter. Would also like to read some of Weigall’s novels. our school books have so incorrectly spread the belief that the English have no relation to the British, and we have been credited with a purely Germanic ancestry. Actually, however, we are a blend of the two races; and thus while our English ancestry takes us back only 1,500 years or so to the darkness of a rather stormy life in Denmark, Schleswig, and along the neighbouring German coast, our British blood, apart from the “Roman” strain, carries us right back into the four centuries of our connection with Rome, and thence back for at least another 1500 years of more or less civilized life in Britain, and links us at length with the men who built Stonehenge. As descendants of the British we have at least 3,500 years of civilization in our own land behind us; but though our English history covers less than half that period it, too, presents, even in its early phases, a very creditable tale. The conditions of life in England in early Anglo-Saxon times were at any rate far superior to those in France under the contemporary Merovingians. Weigall is concerned to correct the “Dark Ages” stereotype, writing that “the story of Britain . . . maintains its detailed course through the Anglo-Saxon period, full of interesting and romantic matter, rich in recorded events, and never once falling back into the darkness and vacancy of an unchronicled epoch”. the crowds upon it [the road of British history], viewed in the mass, move forward in the same traditional spirit of goodwill, toleration, and compromise which are the historic characteristics of our age-old race. From incalculable distance, augmented by innumerable strains of type and breed, the British people come thronging along this immeasurable way, pressing forward towards the vision of the future, generation succeeding generation, moving from strength to strength, until the Past merges into the Present and we of to-day see ourselves inseparably part of the progression, part of old England, part of Britain that was, and is, and is to be. This is the second edition, revised from the 2002 edition, and reads at times as if the revisions were done rather hastily. Talks about the difficulty of establishing what the bestsellers actually were. 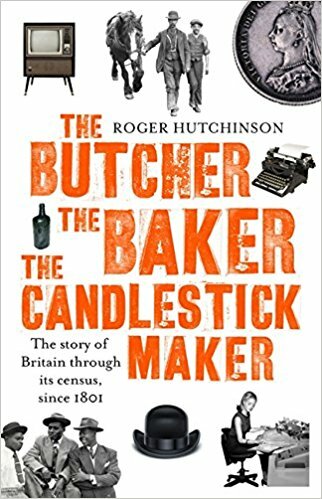 “The British lists were only regularised in the late 1970s.” Before that, he quotes a 1969 article, the lists “‘were produced on a whim by a panel of bibulous bookmen‘, using booksellers whose ‘cynical’ replies were sometimes merely an attempt to sell slow movers”. “There are also no cumulative bestseller lists”, so there is a difficulty about books which over time sell in bestseller numbers, but do not achieve bestseller numbers in any one year. Bit simplistic at times about reader response – for instance, saying Cartland and Miss Read “attracted women to whom liberal values did not appeal”. Rather a misogynist comment about Blyton. Bloom seems to dislike commas, as in “The story follows Eragon a poor boy who finds a blue stone in the forest that turns out to be a dragon’s egg”. There are some longer sentences that become breathless because of this. About half the book is short entries, alphabetical by period, on the bestselling authors. I need to read Berta Ruck. There are some slightly random comments. For instance, he talks about James Hadley Chase and other paperback thriller writers of the 40s and 50s setting books in America though most of the writers hadn’t been there. ” … few travelled outside the UK. This is still the case with authors today. Stef Penny was prevented from going to Canada by agoraphobia but it did not prevent her from winning a major prize for The Tenderness of Wolves, set in Canada.” Not sure how useful it is to compare the first group of writers with the contemporary Stef Penney (not Penny) who had a different reason for not travelling. There are a lot of typos, including the splendid “Jonathan Livingstone Seagull is the story of a bird who files for the love of it rather than the necessity.” I can visualise the photographs – JLS against faded vintage office cabinets and wooden library index card drawers. A Stepmother for Susan of St Bride’s, Ruth Adam (which has some kittens that save the day, which is always good). Margaret Finds a Future, by Mabel Esther Allan. A Lady Awakened, Cecila Grant. Treachery in Death, J D Robb (re-read). In the Bleak Midwinter, Julia Spencer-Fleming. I’m Taking My Eggs and Going Home, Lisa Manterfield.